Please note that leads may not appear immediately, the system checks periodically throughout the day for completed forms. If you use IDX Broker Platinum or Lite you can implement this feature by following the steps provided below. On the API Key Control page, locate your API key on the left under Current Key. The New Key button will regenerate the key. The Revoke Key button will immediately deactivate any connections you have made with the key on things like IDX Broker's wordpress plugin. Click on Set API Preferences on this page (just above the buttons for new and revoke key). 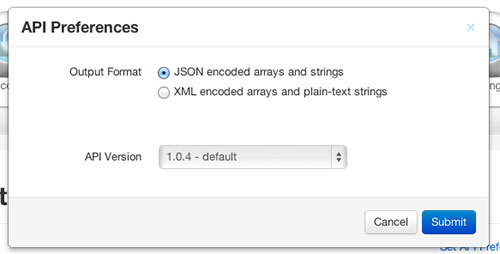 Ensure that the option JSON encoded arrays and strings is selected. If it is not, please select it. Log into your DaknoAdmin and click Settings. Find the IDX Broker Integration section on this page. Paste the API key from the previous set of steps (#2) and save. Once you've saved your API key, the connection between IDX Broker and DaknoAdmin is complete. Leads will be pulled from IDX Broker periodically throughout the day, so if you don't see your leads right away, check back later. This will pull in all existing, as well as new leads. *If you are using IDX Broker Original, this feature is not available to you.